Background/Info: Cut.Rate.Box released a few successful albums right in the beginning of the new millennium. Due to several life events and personal disasters Cut.Rate.box finally stopped their activities. “Xenophobe” is not a resurrection, but the released of a few previously unreleased tracks, which were originally composed for their next album that never saw the light of day. Gregg Wygonik brings us 5 songs from the Cut.Rate.Box archives plus 2 remixes. Content: The first 4 cuts are quite surprising and definitely miles away from the electro-modernism & EBM style this band has used to bring. The music is pretty ambient-like and instrumental although mixed with other influences such as d’n’b and cinematographic music. The last new cut (cf. “Slip Away”) sounds totally different and a kind of move back to traditional underground electronics. This song features somewhat spooky-like vocals and a great lead. You also will notice some female backing vocals during the chorus. The last part of the EP reveals 2 remixes of “Slip Away” by Mangadrive and TSP-9. 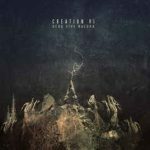 + + + : “Slip Away” is a great piece of music, which is into electronic modernism. I like the sound treatments and the vocals production. This song is totally accomplished by the great male-female vocals during the chorus. The remixes by Mangadrive and especially TSP-9 are quite noticeable cuts as well. Cut.Rate.Box also revealed a somewhat hidden side consisting of ambient passages. 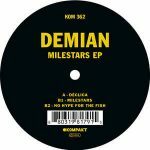 But the more into d’n’b parts supported by dark atmospheres might appeal to Ad Noiseam fans. This ‘other’ side of the project is totally different and unexpected, but reveals interesting and varied ideas. – – – : “Xenophobe” feels a bit like an EP featuring two bands. The diversity is interesting although it doesn’t really create a compact result. It rather sounds as a way to exorcise different music ideas or just a gift for the fans. 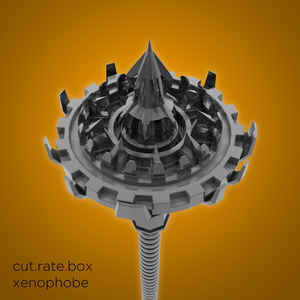 Conclusion: If “Xenophobe” is meant to be the last production of Cut.Rate.Box it definitely isn’t their best one in history. It more appears to be a kind of recognition for a band, which was really on a good way to reach the top. Best songs: “Slip Away”, “Slip Away – TSP-9 Trentabank Remix”, “Breach”.